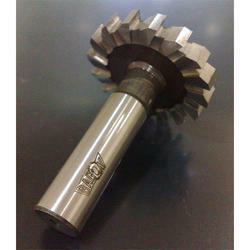 We are instrumental in providing a wide array of Woodruff Cutters. The cutters we are providing are manufactured employing quality graded material, procured from esteemed vendors. Before the final dispatch, a group of quality controllers rigorously inspects the functionality of these cutters on varied industry laid grounds. To furnish the diverse requirements of our clients in the best possible manner we are involved in offering an extensive range of Woodruff Key Slot Cutters. 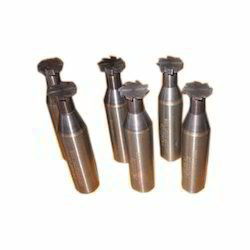 We manufacture all type of Woodruff Key / Cutters.These are fabricated in our well equipped manufacturing unit using fine quality raw materials and latest technology. Made as per the defined industry standards, these are widely acclaimed by the customers for durability, easy operation and longer service life. Offered at market leading prices, the products are also tested stringently at our end. We are ranked amongst the most trusted firms deeply engaged in offering a wide range of Woodruff Key Cutters. Woodruff Key Slot Cutters are suitable for cutting and are available in various diameters and manufactured in different grades of high speed steel for greater efficiency. Woodruff key slot cutters conforming to individual requirements, in intermediate diameters, are also supplied against specific orders. As an uprising organization, we are now manufacturing and trading a quality range of Woodruff Key Milling Cutters all around the country. Our products are made up of high quality raw material bought from a trust able vendor in the market. Our clients can avail from us a wide range of T-Slot Milling and Woodruff Cutters which is widely used for milling woodruff key seats and slots in the slides & tables of the machine tools. These profile sharpened t-slot milling and woodruff cutters, are available in the various sizes ranging from 10 mm to 42 mm onward. The keys helps in locating the pulleys on shafts. Price Range Starts at Just Rs. 1000/- to 3000/- per Piece. T-SLOT CUTTERS with Parallel Shank or Taper Shank have Side & Face cutting edges, which feed into a work piece to produce a 'T' slot conforming to IS:2668-2004. Available in Straight Teeth, Staggered teeth or Roughing type. We offer slot cutter. Our company is committed to provide all industrial cutting requirements. Presenting wide variety of carbide tipped wood working tools and saw to serve the wood cutting industry. Our slot cutter products are professional quality products and meant for industrial products.